You can buy an IR-Only, UV+IR+Visible or High Resolution (HR) converted camera from us, or supply your camera to us for conversion. Before sending us a camera, please make sure it is a camera we convert. IR-Only cameras may have the option of using 715nm or 830nm glass. Each camera usually requires custom optics, and we only convert certain cameras. Not all conversions are available for all models, and some conversions, like monochrome, are not available for customer cameras. Many DLSR conversions are $450, but some conversions and cameras are more expensive usually based on camera construction complexity. Please check with us first if you have any questions. For a quick form for conversion, please click here. IR-Only: Dedicated IR cameras. 715nm or 830nm options. Same price. High Red: 590nm and 665nm. These cameras pas some visible light and infrared light. UV+Visible+IR: Conversions to allow the camera to see it maximum potential from about 330nm UV to 1200nm near infrared. UV-ONLY Color Dedicated ultraviolet light only camera with stock Bayer Filter / Color Filter Array (CFA)..
UV-Only Monochrome: Dedicated ultraviolet light only camera de-Bayeredr /No CFA. Increase sensitivity 6x. HR: High Resolution/Hot Rod. AA (Blur)/IR Cut Filter (ICF) filter removal and replacement with a new custom ICF. Black and White: Monochrome or more correctly Panochrome Bayer filter removal. Currently, very limited availability. Please see some of our B&W pictures. Camera sensor glass Replacement. Replaced your damaged sensor glass with new factory AA/ICF glass. Custom Cleaning Camera disassembly, sensor removal, cleaning, camera reassembly. Typical turn around is 1 or 2 days after receipt. We are the cleanest, quickest, most knowledgeable and friendliest shop anywhere. We have been converting cameras since 1999 and in business since 1997. We have a class 100 optical clean bench, plasma chamber, ionized air curtain, static control mats, pressurized ionized nitrogen air guns, lab grade solvents and materials, alignment and calibration equipment and the experience to convert cameras properly. While there are some people that say the conversion can be done on a kitchen table, this is not recommended. Aside from the possibility of breaking a small fragile part or frying an electronic circuit with a small static charge, the glass over the sensor must be extremely clean in order not to have pixels covered on the sensor. Particles that can only be seen under a microscope can become a problem when the particles are directly in front of a pixel on the CCD or CMOS. It is quite unlikely that one will get the glass clean enough without special training and equipment. When you send a camera to us, you can be assured of top quality service. Our conversions are the cleanest in the business and our turn around is usually 1 or 2 days from receipt. Converted cameras have replacement double coated optics replacing stock internal optics. All IR-Only converted cameras will Auto Focus correctly in the infrared spectrum at all F-Stops. All IR+Visible Single Lens Reflex (SLR) conversions will Auto Focus in the visible spectrum. All IR+Visible Electronic View Finder (EVF) will focus in either visible or infrared depending on the filter used on the camera. All converted cameras involve the removal of the stock ICF / AA glass which is typically a 3 or 4 layer sandwich of various types of glass. Then we replace the ICF/AA with our own custom glass. The type of glass we use determines the type of conversion. Please note that the AA (blur filter) is removed for all camera conversions except for the sensor glass replacement service. We uses WG280 glass for our IR+Visible conversion and 715nm or 830nm glass for the IR-Only cameras. 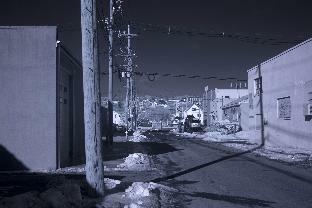 With the IR-Only SLR cameras, you can see through the lens like normal, but the picture taken will be in infrared. The 715nm glass is similar to the Hoya R72 glass. A 715nm camera conversion will see almost the same amount of light as a stock camera. This means that if you can hand-hold the camera for a stock picture, under outdoor sunlight, you can do the same for a 715nm conversion. With an 830nm conversion, you will lose about 2 F-Stops or have a slower shutter speed. Notice on the examples below, holding F-Stop constant at F8.0, shutter speed went from 1/500 to 1/125 when we went from 715nm to 830nm. The advantage of a 830nm filter is that the red, green and blue channels are more evenly exposed than at 715nm. The red channel more open on a 715nm than on a 830nm conversion. When you more evenly expose the RGB channels, the camera can resolve better. Also, the infrared effect is more dramatic at 830nm versus 715nm - skies are darker and clouds whiter. The most popular conversion is the 715nm, but the 830nm conversions are increasing in popularity. With a High Red 590nm or 665nm conversion, the camera sees some visible light and also infrared light. Because your lens is being asked to focus over a wider spectral range, you may have a slightly softer picture or have to compensate with smaller apertures. The is because most lenses have a different focal point for the visible than for the infrared. Depending on your lens, focal point and aperture, you will need to determine if you need to make any manual adjustments. 665nm Conversion: Red channel will see infrared and red light. Blue and green channels will only see infrared light. 590nm Conversion: Red channel will see infrared and red light. Green channel will see some green and infrared light. Blue channel will only see infrared light. All pictures were taken with the same lens but different Canon 5D bodies. Pictures were shot handheld. White balance was set to AWB and ISO 100. 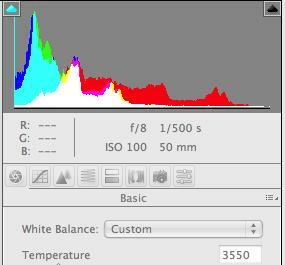 Setting a custom White Balance (WB) will allow you to get a mostly monochromatic image when using an IR-Only camera. You can get different effects by choosing different colored cards when setting white.balance. Popular colors are white, light blue, light yelllow and light green. A common question is "How come the camera takes a red picture if I don't set a custom WB?" The answer is that the red pixels are the most open to IR. The camera doesn't know iit has been converted. 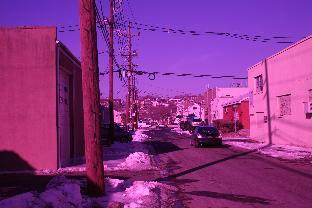 As far as the camera knows, it is taking a normal color picture. 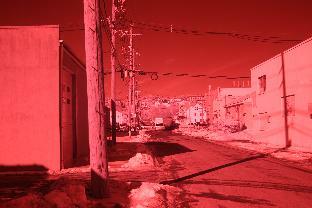 Since the red pixels are the most open to IR, the picture will be red unless you set a custom WB. Notice how the 830nm color channels are more closely balanced than the 715nm. By having the channels better balanced, the camera can resolve better. This was shot in the winter. A summer time shot would have a greater IR effect. We recommend that shooting be done in RAW if possible with all processing done in post applications like Photoshop. Many different techniques exist to create stunning images from a RAW picture. One common method is to optimize the same RAW picture for different areas such as background, trees, sky, etc and then layer the images in Photoshop choosing the optimized areas in each layer. Others will simply convert the picture to black and white optimizing contrast and brightness. We typically turn around a camera 1 or 2 days from receipt. When you send us a camera, please. Please do not include: Lenses, Camera straps, Memory Cards or anything extra added to the camera body. Total cost varies by camera, but for the DSLR cameras, the conversion cost is $450 + return S&H. If you live in the domestic USA, add $20 for UPS insured ground return shipping. When shipping from outside the USA, camera should be marked as a REPAIR and any duties or customs are billable to you. Camera should be insured for market value but use $1.00 for Customs Value. We are not supposed to pay import tax on a customer camera, but, if we are charged, then we will re-bill you. We recommend that you do not use UPS because they charge us an import tax even when camera is marked for repair. UPS will not reverse the charge, so please use another carrier. When we return the camera, you are typically charged a tax on the value of the repair by your country's customs which is not something we have any control of, is not paid to us and is not collect by us. Normally, the shipping company collects the tax on behalf of the country..
We convert 100's of different cameras and add new types cameras every week. The list below reflects some of the camera we convert, though we convert many others as well. If you have a camera not on the list, please call or email us to see if we can convert it. While not a complete list, we convert the following digital SLR cameras. Note: We can convert any Canon or Nikon DLSR made during the last 20 years. If you don't see your camera model on the list, that means we just haven't updated to reflect the newest camera model. However, we can convert any Nikon or Canan DLSR camera to US-VIS-IR, there are some conversions that are more limited such as UV-Only or 590nm. Please check with us if you have any doubt with the camera model and the conversion desired. Fuji S3 Pro, Fuji S5 Pro. All of the digital SLR cameras cost $450 for conversion to IR-Only, IR-Visible or Visible High Resolution (HR). 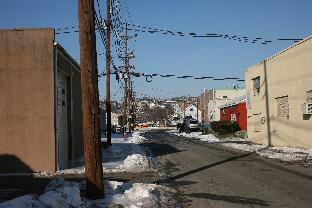 If you live in the continental USA, include $20 for UPS ground insured return shipping. If you have another camera not on our list, please check with us to see if we may convert it. If we get enough requests, we can add it to our list. 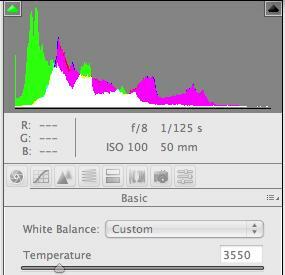 Notes on digital SLR IR conversions: The newer cameras have more modern sensors that perform better in IR light. If possible, use the latest model camera for best results. Of course if you have an old Canon 10D that is not being used at all, it can make a great IR-Only camera, but, newer camera will perform better. All these cameras have sensors based on silicon, so they all have the same basic response curves. However, some cameras have better designed sensors, larger photoreceptors and such making them better than other cameras. As a rule of thumb, you can assume that the visible performance differences will follow the UV and IR performance differences (i.e. 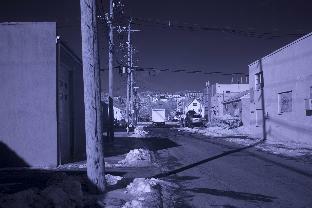 If a camera is better than another camera in visible light, it will be better in IR light as well). Another rule of thumb is that cameras with larger photoreceptors (pixels), will perform better than cameras with smaller ones. As manufacturers have packed more pixels into the same sized sensor, we have seen some decline in sensitivity. With the high megapixel cameras, go to a full frame sensor if it is in your budget. Focusing and Sharpness. Lenses are designed for visible light focus. Some lenses work nicely in infrared, and some don't. Some lenses get hot spots and some lenses just don't focus sharply in infrared. 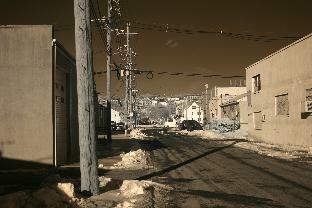 Experiment with different lenses to learn which work best for infrared. On some lenses, you will probably need to stop down to F-8 or so to get sharp focus. On other lenses, you might be fine a F2.0 You may also want to try adding our XDP filter on the lens which will even out the red, blue and green channels better, however you will have to manually focus and set aperture. Be careful cleaning IR-only cameras for dust. The black IR glass makes it much easier to see dust, and it is tempting to over clean the glass. Only clean the glass when you really need to because it is too much work to retouch later. You are better off fixing a couple easy dust spots in Photoshop than risking damaging the glass. Only clean when really necessary. Do not over clean. We have seen perfectly good sensor glass ruined because someone could see a tiny spec somewhere that would normally be invisible at normal apertures. With most lenses, sharpest results are around F8.0 to F10.0. If you go searching for dust, you will probably find it. However, if the dust does not impact the picture at your normal shooting apertures, leave it alone. Canned or clean compressed air. Be careful not to tip the can too much because liquid in the can may come out and will stain the sensor glass. Dry cleaning with optical clean room swabs. Move the swab from one side to the other. Anytime anything touches the sensor glass, some particles will be left behind. Electrostatic forces on small particles become very large and will hold small particles like a magnet to the glass. Even though the glass may look clean, under a microscope, you will see particles from the clean room swab. Wet cleaning last. Wet cleaning will always leave traces of the solvent behind. Even with lab grade 99.999% pure solvents, we can see an evaporation line lefts. You can also transfer oils from the camera onto the sensor glass. We don't recommend wet cleaning unless there is no other option.